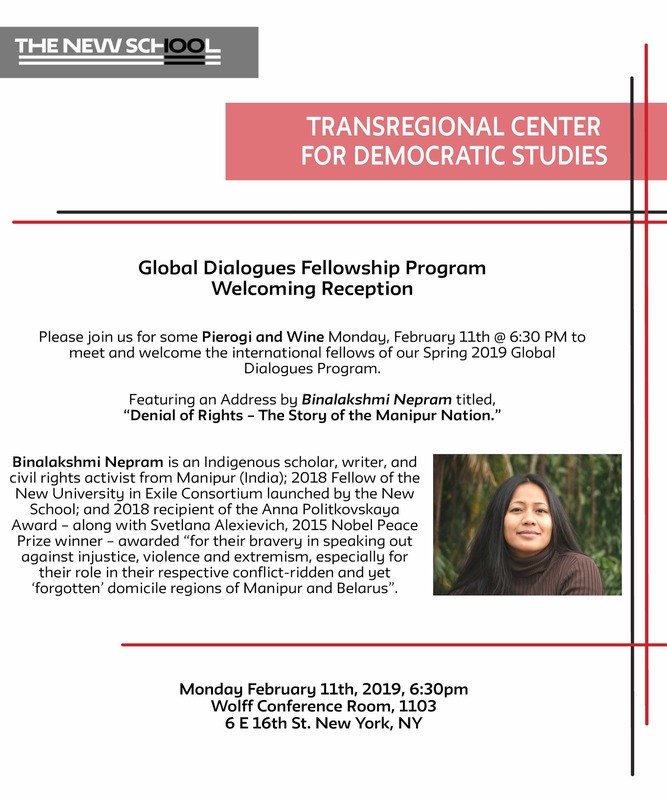 Please join us Monday evening, February 11th @ 6:30 PM, at the New School, to meet and welcome the international fellows of our Spring 2019 Global Dialogues Program. 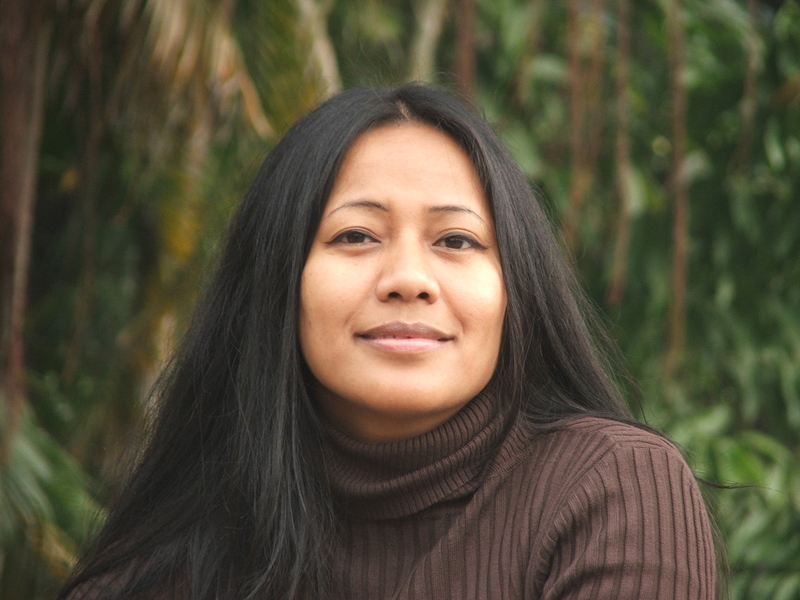 The lecture will be followed by pierogi, wine, and conversation. We look forward to seeing you there! 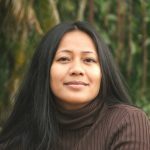 Binalakshmi Nepram is an Indigenous scholar, writer, and civil rights activist from Manipur (India); 2018 Fellow of the New University in Exile Consortium launched by the New School; and 2018 recipient of the Anna Politkovskaya Award – along with Svetlana Alexievich, 2015 Nobel Peace Prize winner – awarded “for their bravery in speaking out against injustice, violence and extremism, especially for their role in their respective conflict-ridden and yet ‘forgotten’ domicile regions of Manipur and Belarus”.